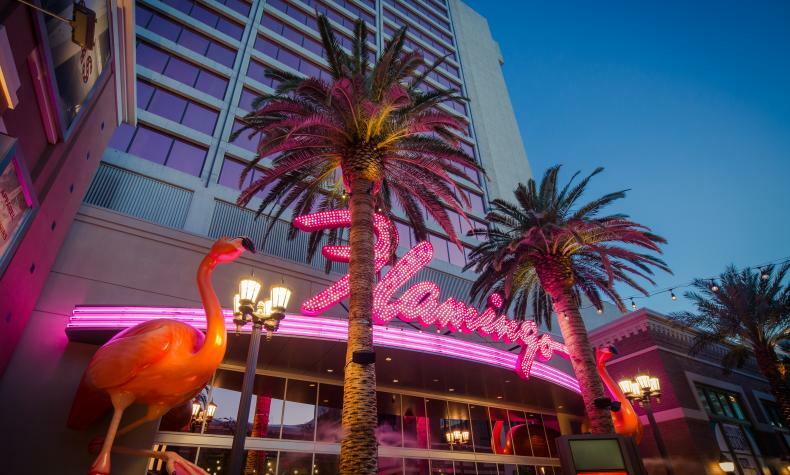 The mystique of the Flamingo dates back to 1946 when Bugsy Siegel opened his “class joint” near downtown. What remains is a resort overlooking lush Caribbean landscaping, pools, spas, waterslide, and wildlife menagerie with flamingos and swans. Hit the GO pool for a high-octane, pool-party vibe. 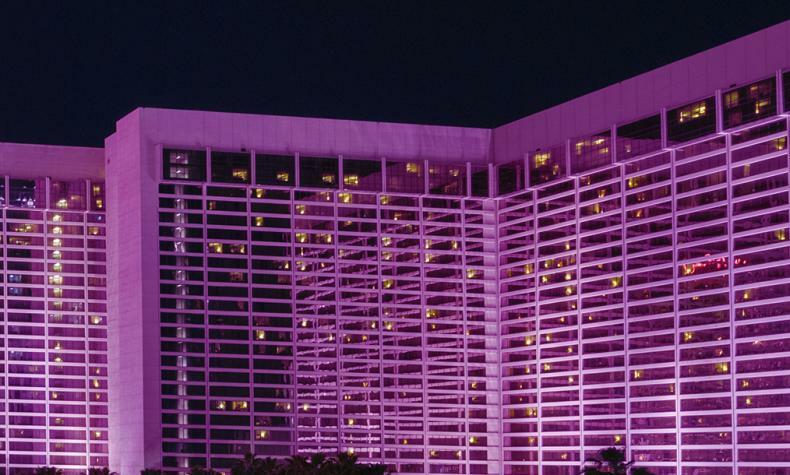 Entertainment includes superstar performances, tribute shows, comedy acts and more. Plus, Jimmy Buffett’s Margaritaville has live music, strong margaritas and its signature Cheeseburger in Paradise.